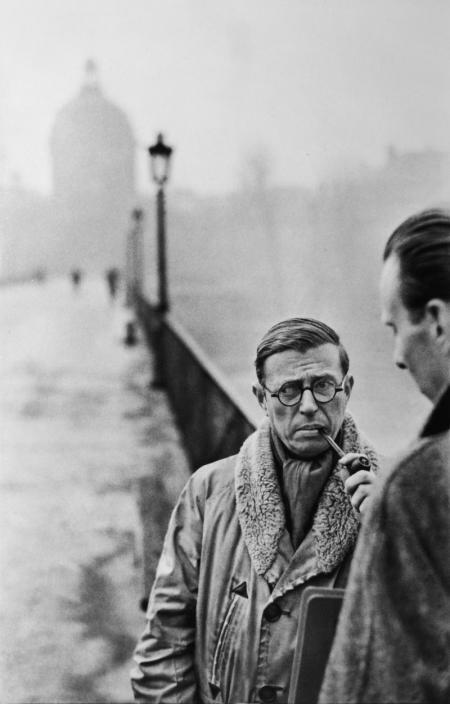 Henri Cartier-Bresson, Jean-Paul Sartre, Le Pont des Artes, Paris, 1946. © Henri Cartier-Bresson/Magnum Photos. Courtesy Fondation Henri Cartier-Bresson, Paris/Beetles+Huxley, London. ACS member Henri Cartier-Bresson was one of the most important photographers of the twentieth century. He transformed photojournalism into an artform that balanced powerful subject matter with perfectly timed, elegant composition and an exhibition of some of his incredible photographs is running this month at Beetles+Huxley in London. Entitled ‘A Decisive Collection’, it is centred around a private collection of prints which contain a fascinating balance of images, some of which are well-known and some of which are virtually unseen. Highlights of the exhibition include several unusual sets of photographs featuring, for example, Paris during the 1968 student protests and the USSR during the early 1970s, as well as portraits of famous sitters including Francis Bacon and Coco Chanel.